Essential Steps Before Updating Firmware. Procedure To Update Sony Xperia ST18i With Official ICS 4.0.4. Disclaimer : We Have Made This Article Covering Each And Every Part At Our Level Best.In Case If Any Damage Happens to Your Device (It Should not Be), Neither We nor Sony will Be Held Responsible For It.And Also Please Be Noted That Flashing Firmware May Void Your Device’s Warranty.So Flash It At Your Own Risk. By Assuming that you have followed all the instructions mentioned in Essential Steps Before Updating Firmware, You are Now Ready to Move to Rest Part of The Article Where We Will be Checking That how to apply ICS 4.0.4 Firmware Update in Xperia Ray. Install Flashtool Which You’ve Just Downloaded In Your Computer (For You Convenience, It is Recommended To Install Flash Tool in C: Drive). Extract Xperia Ray ICS 4.0.4 Firmware Update Package in Your PC, You’ll Get .ftf File. Navigate C: –> flashtool –> firmwares Directory.Delete All The Data in That Directory If It is Present Over There. Copy/Move The Extracted Firmware Package File (.ftf File) In The C: –> flashtool –> firmwares Directory. Now We’ll Proceed To The Actual Firmware Updating Procedure In Our Further Tutorial. Open Xperia Flashtool Which You’ve Just Installed.Select Flash Option From The Top Corner of The Tool. (Refer The Image Below). 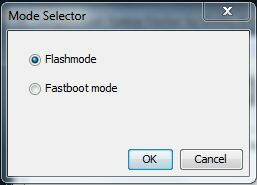 You’ll Be Ask To Select Either Flash Mode Or Fastboot Mode.Select Flash Mode & Press Ok.
After Selecting Flash Mode, Firmware Selection Window Will Appear.In The Left Side Select ST18i (Version 4.1.B.0.431). In The Right Side, Tick The Following 4 Options Only. Select/Press Ok. Wait For It To Prepare.Now It will Ask You To Connect Your Mobile, Follow The Steps Carefully & Connect Your Phone. 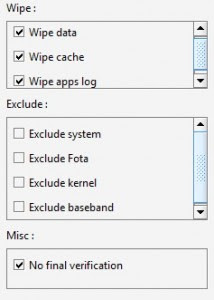 (While Connecting The Device To The Computer, Turn Off Your Xperia Ray. Press & Hold Volume down key & Now Connect It To The PC). As Soon As Connect Your Device To PC, Flashing Process Should Now Start.Once You See The Flashing Finished Message In Flashtool. Remove/Detach The Device From PC & Wait For The Device To Reboot (First Boot After Flashing Firmware Takes More Time Than The Usual.So Don’t Panic & Be Patient). Congratulations ! By This Time Your Sony Xperia Ray Should be Running On Latest Firmware Update of ICS 4.0.4.Now In Case If You Face Any Difficulty While Flashing The Firmware, Do Let me Know In Comments.I Will Be There To Assist You As Quick As Possible. 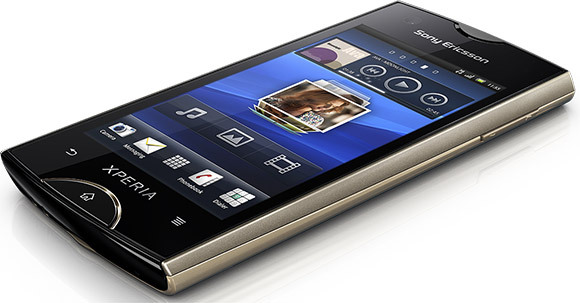 0 Respones to " Update Sony Xperia Ray ST18i with Official ICS 4.0.4 Firmware"